The campaign to secure posthumous pardons for Harry Harbord Morant, Peter Handcock and George Witton has been the subject of debate in the media, and also in the Australian Parliament, over recent years. In May, the Commonwealth Attorney-General, Nicola Roxon, stated that the Australian Government would take no further action on the petition to pardon the three. Their chief advocate, James Unkles, has indicated his intention to pursue the matter in the UK Courts with the assistance of Dan Mori. However, irrespective of its outcome, the Morant matter has highlighted the enduring role of the Royal Prerogative of Mercy in Australia's justice system. 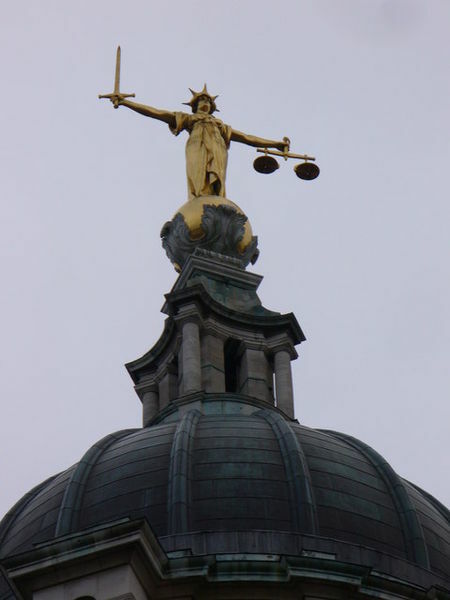 The Royal Prerogative of Mercy is the ancient power of the monarch to show mercy to an offender and to redress miscarriages of justice – a power often called upon in capital cases, particularly before the development of systems of criminal appeal. It is a personal executive power, vested in the sovereign and, in Australia, exercisable by the Governor-General and by state Governors. The Governor-General's power to grant pardons extends only to offences under Commonwealth or Territory law: she does not have jurisdiction to pardon persons convicted of state offences or those convicted in overseas Courts (as was the case for Morant, Handcock and Witton). The Royal Prerogative of Mercy is exercised in response to a petition, usually from a convicted person or someone acting on their behalf, and, by constitutional convention, on advice from the relevant government minister. order a (non-judicial) inquiry into a conviction. The Commonwealth Crimes Act 1914 provides that where a person has been granted a free and absolute pardon because they were "wrongly convicted of the offence", they shall be taken "never to have been convicted of the offence" (section 85ZR). In contrast, in the UK, a royal pardon does not remove the conviction itself, but only the penalty or punishment imposed. As the Royal Prerogative of Mercy enables the Executive to override the final decision of a Court, it is usually exercised only in matters where no other avenue of redress remains. For the same reason, ministers have traditionally applied a high threshold when deciding whether to recommend the granting of a pardon, doing so only in cases in which they are satisfied that the convicted person was both morally and technically innocent (see the discussion of pardons in a notable British case, R v Secretary of State for the Home Department ex p. Bentley, and in an Australian Senate Committee hearing). Full and free pardons are rarely granted. In 1942, Stokers Albert Gordon and Edward Elias were sentenced to death by court martial for the murder of Stoker John Riley on HMAS Australia. (As the Australian Government had by an Order-in-Council unconditionally transferred Royal Australian Navy ships to the control of the Royal Navy during World War II, they were subject to the British Naval Discipline Act 1866 which provided that murder was a capital offence.) After an unsuccessful appeal to the High Court, an appeal was made to the King who exercised the Royal Prerogative of Mercy and commuted their sentences to imprisonment. In 1968, John Zarb was imprisoned for two years for failing to comply with the National Service Act 1951. An unsuccessful appeal to the High Court followed, and his case became a focal point for anti-war protesters. In 1969, after receiving advice from the then Attorney-General, Governor-General Sir Paul Hasluck remitted his remaining sentence on compassionate grounds. Brian Ross, also jailed for two years for refusing to comply with a call-up notice, also had his sentence remitted by the then Governor-General following an inquiry into the matter by Mr Justice Smithers. In 1979, Anastasia Artopoulou was granted a free and absolute pardon by Governor-General Sir Zelman Cowan on the basis of evidence she was thought to be able to give in a prosecution for alleged social security fraud. Attorney-General Durack also granted immunities from prosecution to a number of other witnesses in the same case. Ultimately the Crown withdrew Ms Artopoulou's evidence. This is an interesting example of a pardon granted, prior to any charge or prosecution, to a person who might be implicated in a crime on condition that they provide assistance to the prosecution. Information provided by the Attorney-General's Department indicates that since 1990 the Governor-General has granted four free and absolute pardons to people who had been convicted and fined for Commonwealth offences under corporations, electoral and taxation law. The Governor-General has also granted a number of full and partial remissions of fines, most commonly on the basis of financial hardship. Australian states and territories have also established statutory schemes which operate along side the Royal Prerogative of Mercy and which enable the relevant minister to remit a matter back to a court of criminal appeal. Commonwealth law does not contain a parallel mechanism. However, state and territory procedural laws are applied to persons charged with federal offences by virtue of section 68 of the Judiciary Act 1903. So, the Attorney-General is able to consider applications from federal offenders for the referral of their cases to the relevant state or territory court of appeal. A decision not to refer a case to a court of appeal is amenable to judicial review under the Administrative Decisions (Judicial Review) Act 1977. Thus, for example, in Martens v Commonwealth of Australia (2009), the Federal Court set aside a decision of the then Minister for Home Affairs refusing to refer the applicant's case to the Queensland Court of Appeal, finding he had improperly exercised his power by failing to take into account a relevant consideration. Mr Martens' conviction was subsequently quashed. The Crimes Act 1914 independently empowers the Attorney-General to grant a licence for a person serving a federal sentence to be released from prison before the end of their non-parole period, should she be satisfied that exceptional circumstances exist (section 19AP). The Act does not define "exceptional circumstances", but these would generally include factors such as assistance to law enforcement or illness that cannot be treated within the prison system. It was under this provision that Attorney-General Roxon released from prison 15 Indonesian minors who had been convicted of people smuggling offences.